At Canonical, helping customers overcome their challenges is what we do every day. In the IoT world, a common challenge we encounter is customers who are interested in transitioning to Ubuntu Core and the snapcraft.io ecosystem, but are unsure how to begin. This post covers the recommended approach. The easiest way to simplify a transition is to break it down into discreet steps, which is the approach we’ve taken here. Ubuntu Server offers all the flexibility of whatever you’re using today, but adds a dizzying array in packages in multiple repositories, including a wealth of developer environments, frameworks, tools and utilities. If your target hardware has sufficient resources, you can develop on there directly. Then there’s regular maintenance, support, and a plethora of publicly available images, with new ones coming like clockwork twice a year. For custom hardware, our certification teams are ready to deliver the Ubuntu experience out of the box. In addition, there’s a decent chance your developers are already running Ubuntu on their laptops or workstations. Moving to Ubuntu for your target device hardware will begin to simplify things immediately. The next step is to begin snapping the apps that run on your device(s). You can easily prototype them on your Ubuntu or other Linux system, and then move to your target hardware when you’re ready. Using this method, you can learn all the ins and outs of snaps, such as confinement, service & interface management, and publishing. Once snaps are comfortable and familiar, like a favourite pair of jeans, you’re ready for the next step. At its essence, Ubuntu Core can be described as an Ubuntu operating system built on snaps. You covered Ubuntu and snaps in the previous two steps, so you now have all the tools you’ll need. 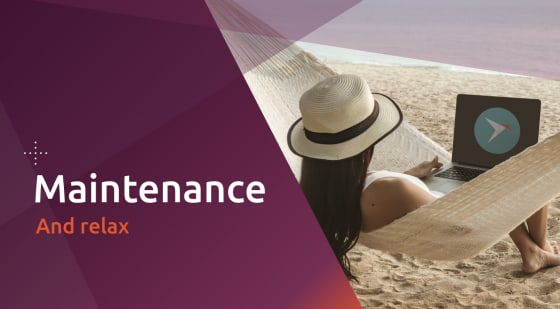 You’re ready to take advantage of all the benefits; Ubuntu Core’s all-snaps architecture for streamlined maintenance and security updates, minimal footprint, and failsafe update mechanisms for every OS element. If you chose Canonical to enable your board, chances are you’ll already have the Ubuntu Core image at your disposal. Often a seemingly insurmountable task can be made manageable by breaking it down into smaller, simpler steps. I’ve attempted to do that here for the transition to Ubuntu Core. The benefits vastly outweigh the initial investment; utilising the snapcraft.io ecosystem will result in less effort spent on maintenance while simultaneously strengthening device reliability & security posture, and opening up the door to software-driven monetisation. The ultimate benefit is more profitable, longer-lived products and happier customers.